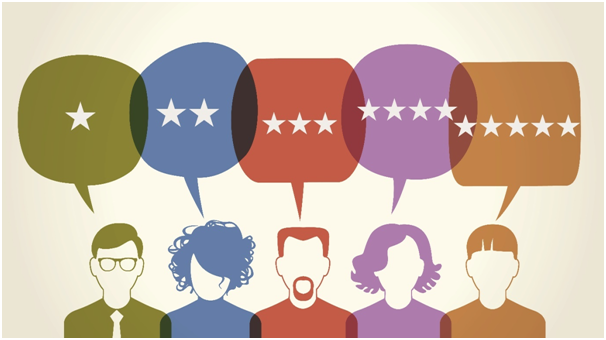 Virtually every customer will look at online reviews before making a purchase. Up to 90% of people will consult the reviews, either on independent sites or ones left by customers on the business’s site, before making a purchase. Almost the same amount of people consider an online review from a like-minded stranger to be as persuasive as a recommendation from a friend. This in turn translates to a 31% increase in sales if a site has “excellent” reviews and overall rating. Most people will trust a business after reading 4 – 6 positive reviews, which must of course be a part of the aforementioned excellent rating. 86% of people have said that they will be hesitant to purchase from a company with any negative reviews. These statistics make it imperative to deal with customer complaints quickly and effectively address negative reviews. This means responding promptly when a review goes up and taking the time to go through it point by point. Responses can be effective on positive reviews too and will let customers know that your business reads and appreciates the feedback. When a negative review appears, don’t simply deny any accusations and take it personally. Correct any inaccuracies, but you don’t want to turn it into a “he said she said” situation with mudslinging on both sides. Your business will be the one that loses, regardless of the truth. Instead, admit any mistakes and offer to fix the problem for the customer. Take the discussion offline, as other users chiming in on your responses is rarely helpful, and provide a solution that goes above and beyond. This is a prime opportunity to turn someone who may never return into a loyal advocate of your brand. For a restaurant, this may involve inviting them back for a free meal, or if you sell goods then a free replacement will go a long way to extinguish their complaint. The important thing is to demonstrate that your company cares about its reputation and helping a customer. The cost of a new product or redoing a service the customer wasn’t happy with is insignificant in comparison to the power a bad review has to cost your business money. Once the situation has been resolved, encourage the customer to return to their review and post a follow-up. Showing that your business knows how to address complaints correctly will be an effective brand-building exercise. In the eCommerce realm, online reviews can make or break a company and digital reputation management is becoming a big business. In the age of omni-channel retailing, there are many chances for things to go awry, from problems with a marketplace over-selling your product, to damage occurring during the shipping stage, to the customer simply changing their mind and deciding the best way to take out their frustration is to attack your company. Even in the latter situation and in the face of unreasonableness, the cost of bowing to an irrational customer is far less than the potential damage their review can cause. It isn’t necessarily fair, but it will be a small price to pay in the long run and your willingness to treat them better than they treat you may create a long-lasting relationship.